Shortly after Dart Group arrived in Cayman and began buying large parcels of land in the mid 1990’s, such as where Camana Bay is located, it was widely believed that they wanted to dredge a channel in the North Sound in order to allow large yachts to access this property. In fact, it was also believed they had a plan to cut a canal through the Barkers area and dredge along the west coast of the North Sound. Many Caymanians were against any such plan and there was a public outcry against such a move. This outcry became so strong that eventually McKeeva and his fellow elected members from West Bay decided to hold a public meeting at the West Bay town hall to discuss this topic. Initially, McKeeva and his fellow representatives denied any approval had been granted for dredging in the North Sound. This position continued until a member of the audience produced a copy of a signed approval which did indeed give permission for the dredging of a channel in the North Sound. From this meeting, and the general opposition to such a plan, McKeeva and the government of the day must have realized that Caymanians were not going to accept this decision and would take all steps to prevent it from moving forward. The government backed off the proposal and nothing was heard about it again. Now McKeeva is in government again and we find he has an agreement with Dart to close a portion of the West Bay Road. This gives absolutely no benefit to Caymanians (who through the Crown, own the land) and only gives a great benefit to Dart by increasing the value of any project they may develop there. Some say if this is done they will proceed to develop a project in this area. Are they saying that if the Dart Group does not receive the approval to close this section of the road that they will do nothing with the property? This is highly unlikely, and if it were so, it would only demonstrate a fear many Caymanians have, namely that Dart is putting itself in a position where we as a country will no longer be able to make decisions with the best interest of all Caymanians in mind if this contradicts what Dart wishes to do. Many are saying the economy is poor at present and we should agree to this closure in order to create jobs. If we are worried that by not agreeing we will risk Dart stopping all development, imagine the position we will be in when we have granted all they want now and the group has gained even more control over our national economy. The more we give up in the name of creating a few jobs now, the more difficult it will be in the future to oppose other grandiose schemes such as dredging a channel in the North Sound. The Dart Group seems to think we will be fooled when they trot out a Deloitte report supporting their point of view. Surely most of us realize these reports do not represent the best interests of the Caymanian people as that is not who commissioned the study. It is easy to understand why many are concerned about opposing Dart as it has a well documented history of ruthlessly pursuing its goals even in the face of opposition from large countries, even the US. How could a small country like ourselves stand against a Dart proposal if we felt it was wrong for our country? This only emphasizes why we must stand firm against the proposed closure of a section of the West Bay road now. If it is a risk for us tooppose Dart on this issue it will be impossible to oppose any future proposals it may put forward. We can all agree that if Dart puts forward a proposal that Caymanians feel is beneficial to our Island we will be happy to support it. However we must be able to oppose a proposal that we feel is detrimental to Caymanians and our country. Caymanians have a proud history of standing against all odds when they believe something is not in the best interests of our country. This happened recently when Mr Imparato was proposing a dock in East End. A majority of Caymanians were against this proposal and spoke out. Our government of the day did not seem to be listening but Caymanians made their concerns known and ultimately Mr Imparato changed his plans. All credit goes to Mr Imparato for ultimately heeding the wishes of Caymanians even though he must have invested considerable time and funds in the planning of the project. This may have something to do with the fact Mr Imparato actually spends considerable time here in Cayman and does interact with Caymanian society. There are many examples in our history where Caymanians have stood for what they believed under great pressure and in hindsight the decisions have proven to be very sound. Of major concern this time is whether we still have the backbone and numbers needed to stand for what we believe. Over recent years, particularly in McKeeva administrations, the ratio of Caymanians raised here to Caymanians granted status has been changing significantly. Between the status grants and permanent residencies granted (a great Freedom of Information question would be ‘How many permanent residencies have been granted since May 2009?’) we may be losing our control over what happens in our Island. This only makes it more important to oppose the closure of a section of the West bay Road now, as it detracts from and provides no benefits to Caymanians. There are many other issues we need to stand firm against which are being proposed by this government. These will be the topic of future viewpoints. We need to be prepared to stand firm against anything we think is detrimental to our country even if our government of the day is not standing with us. (CNS): The district representative for East End has challenged the government to show the audited financial figures for the year ending June 2009 to demonstrate how the $81 million deficit emerged. Arden McLean said he still questions the claim by the premier that the previous government, of which he was a part, had left a deficit of $81 million.The PPM former Cabinet minister says he has evidence that on the eve of the election the financial secretary had told the Cabinet that the deficit was running at around$18 million at the end of the third quarter. McLean said he would produce the note even if he went to jail, as he called on the current government to prove the claims it was making against the PPM. “I have in my possession a Cabinet note by the financial secretary … brought to Cabinet on 5 May 2009,” McLean told a public meeting in the district on Monday evening. He added that he was going to soon put a stop to the talk about the $81 million. McLean stated that the financial note to the then PPM cabinet stated that as of 31 March 2009 the country had a deficit of $18 million. The East End member said that whatever political damage the premier could have done to him had already been done as he called for the auditor figures. “Give it to me in black and white. He cannot bring it!” he exclaimed. McLean pointed to the unlikely reality of the deficit and said it was unbelievable that in its first year in office the government was able to clear the deficit and bring a surplus of $5 million. He said if this had actually happened then he applauded the premier but he wanted to see the figures. “He has to show it to me, put it in black and white so the people can see that Arden squandered $81 million. He already says so he might as well put that in writing,” the MLA told the people gathered in the heart of his district for the meeting. McLean said it was clear government did not want the audited figures for that year to be released. He pointed to government’s attempt to include the 2008/09 financial year as one of the years to be excluded from proper audit when the Public Management and Finance Law was amended to allow government accountants to catch up on the mounting backlog of government accounts. “We stopped them but it’s still languishing out there … so he can continue to tell people that we ran up the $81 million,” he said, as he asked the press if they wanted a copy of the note. He said he had had enough of being blamed when no one could show the proof. “I know I’ll go to jail because it’s coming out of Cabinet,” he added as he spoke about the documentation that he believes would exonerate him and his previous Cabinet colleagues of blame for the now infamous government deficit. (CNS): Updated with Port Authority statement — In order to avoid a long legal battle in the local courts the information commissioner has withdrawn her recent letter to the chief justice certifying the non-compliance of the Port Authority in connection with her latest ruling. After taking legal advice about the documents, which the port authority is reluctant to release to new applicants without going through the process, Jennifer Dilbert said it will be quicker for CNS and other applicants to pursue a normal application process to get the information rather than fighting a protracted courtroom battle. “Determining whether the records should be released by this route would probably involve a long legal battle,” Dilbert’s office stated on Monday. Although she had sought to enforce her December decision that the documents be released, making the records public, actually getting them into the public domain via the courts may not be the best route. Dilbert had originally sought to test whether the decision to the original applicant could also apply to subsequent requests. However, having sought legal advice herself it became apparent that the court process was likely to take much longer than having the Port Authority go through a repeat of the normal process with the new applications. I response to the news that Dilbert had reconsider the court action the Port Authority issued a statement on Tuesday morning denying any breach of the law. "The Port Authority continues to believe that the complaint should never have been made. There was no legal or factual basis for the ICO to suggest that the Port Authority breached the Freedom of Information Law," it stated. "The Port Authority recognises that its obligations under the Freedom of Information Law are coupled with the requirements of due process, for the benefit of both the public and the authority. 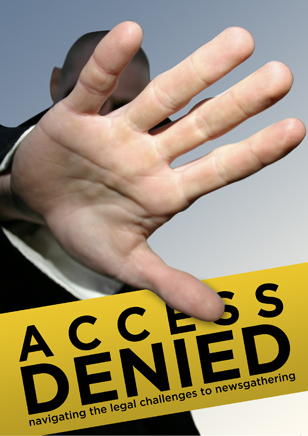 The Port Authority will continue to comply with the Freedom of Information Law going forward." Ironically, CNS made a request for the records on 29 January and as yet has not received an acknowledgemnt letter which, according to the law, should have been sent within ten days. CNS will continue to pursue the records application made by the original applicant in the hope that given the commissioner’s existing ruling the documents will be released by 1 March. The documents in question relate to the negotiations between the port, government and GLF Construction, the second developers who were in line to construct the cruise berthing facilities in George Town but with which the premier terminated talks on the eve of a planned main agreement. After her 13 December ruling when Dilbert said the documents should be released, the port did not comply with the order within the 45 days given after an ICO hearing nor did the authority request a judicial review of her decision. Although Dilbert was by then already in a position to certify the public authority for its failure to comply, given the decision of the original applicant to withdraw the request, the information commissioner did not force the issue. However, CNS made a request for the same documents which the commissioner asked the port to immediately release as a result of her existing decision. The Port Authority sought to challenge that on the basis that the application was a new request. Although the information commissioner’s position will be the same, the new application will present an opportunity for the port to attempt to delay the inevitable by a further few weeks and probably see the authority seek some new exemption under the law to keep the documents under wraps, even though many of them are already in the public domain. Organisers say that the course will focus on the barriers that these young men face, some of whom are already parents, and help them get back into the workplace and stay there. The programme is a collaboration between the education and employment ministry, the Wellness Centre as well as local employers and the ICCI college where the students undertaken the theoretical side of their training. Although the passport2success programme addresses academic shortcomings such as numeracy and literacy as well as work necessary skill sets, the focus of the public-private programme is primarily about the other issues standing in the way of the men finding and then being able to keep a job. Organisers said attitudes, work ethic, issues of entitlement and in some case aggression or having a criminal record has stood in the way of the men securing employment or has caused them to lose a job they had managed to get. The chief officer in the minister responsible for the programme welcomed the new group on the course Monday and spoke about the problem of entitlement which is standing in the way of young Caymanians competing effectively in the jobs market. Mary Rodrigues said that in all of the passport2success programmes issues of entitlement have proved to be a major stumbling block as she warned that there was no entitlement in the modern competitive workplace. She also pointed to pride standing in the way of people asking for help to get work. Rodrigues said the programme would help the young men become the type of person that an employer wanted to employ but that they would be challenged by the course and they would need to commit. However, she said the students would receive support throughout and after they completed the course their tutors would still be following their progress and work with them to help them get work. So far four groups of school leavers and a group of unemployed single mums have been through the government-private-sector work readiness course and the organisers say more than 60% of those students have found work or are in full time education as a result of the programme. Although the John Doak Architecture Iguanas have no shot at retaining the title for an unprecedented 3rd year (having lost once already to the DHL Storm and twice to the Krys Global Buccaneers) the Iguanas will be cheered on by the Buccaneers who know that if the Iguanas can beat the Storm and deny the Storm any bonus points then it will be the Buccaneers who will be crowned league Champions. 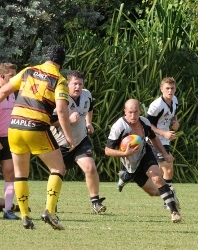 The Buccaneers are certainly the in-form team at present having handed the DHL Storm their first loss of the season on Saturday 11 February with a 24 point hammering. A loss in stark contrast to the 48-5 drubbing the Storm handed the Buccaneers in the first half of the season. The Iguanas, coming from a 32-20 win over the Queensgate Pigs Trotters will be looking to overcome their upset to the Storm in the early part of the season when they were denied a late comeback win but it’ll be anyone’s guess as to what will happen on the day. The still winless Queensgate Pigs Trotters are going to have a steep hill to climb in their final league game of the season if they want to earn their first win of the season as the Buccaneers will be taking no prisoners on 18 February. In the event that the DHL Storm lose to the Iguanas but earn a bonus point the league will be decided on points difference and it is the DHL Storm, with their prolific back line who have the lead in that department so the Buccaneers will be looking to pile on the points against the Pigs Trotters! (CNS): The two MLAs who are elected to the Legislative Assembly through the democratic process of one man, one vote are hoping to spread that democratic principle to the rest of the country before the next general election. Arden McLean, the PPM representative for East End, told his constituents last night that they could set the example to the rest of the country by signing the petition that he and his fellow MLA Ezzard Miller, the independent member for North Side, are organising to bring about single member constituencies. The MLAs will be petitioning registered voters in order to trigger a people’s initiated referendum and force the hand of government to change the voting system. Speaking at a public meeting in his district Tuesday evening, McLean said he was not prepared to tolerate a policy which would see voters in George town given six votes and enabling them to influence the make-up of government six times more than his own constituents because it was not democratic. Following the rejection by government of a motion submitted by Miller to change the elections law and subsequent attempts by him to bring further motions, which have been blocked by the Speaker of the Legislative Assembly, the two MLAs, who are the only single member representatives, hope to establish the principle of one man, one vote via the constitution. McLean said the government will not implement the system but the two single member constituencies stood out when it came to democracy and they needed to show the country how democracy works. “George Towners are going to have six chances to influence the creation of a government and East Enders are only going to have one. You think that fair?” he asked his district. 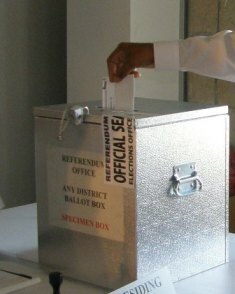 One man, one votes creates accountability, he pointed out and said he would not support six candidates in George Town because the option government has chosen is further disenfranchising the single member constituencies. The government does not want the outer constituencies to have any influence on government, the MLA stated as he announced the plan to circulate the petition. He said that government had chosen the leastpopular option for the next election because the premier believes that he can stay in power under that system. Miller told CNS after the meeting that, following the numerous efforts he has made via the parliamentary process to introduce a voting system that is not only more democratic but also understood to be supported by most people, the petition could force government’s hand. “If we are able to collect a sufficient number of signatures from registered voters, we can test the government’s commitment to the constitution and trigger a referendum on the issue and let the people decide,” Miller said. The two single members will be holding a press conference on Wednesday to announce the launch of the petition and details of the accompanying campaign. Check CNS tomorrow evening for a full report on the campaign for single member constituencies. (The Gleaner): Dozens of tributes poured in from around the world yesterday for iconic radio talk-show host Wilmot 'Motty' Perkins, who died early yesterday morning at his St Andrew home after a brief period of illness. Perkins was 80 years old.Friends, colleagues and faithful listeners have been using every tool at their disposal – call-in programmes, email, instant messages, social networks, blogs, and comment boards -to pay respects to the giant of journalism who started his career more than five decades ago, and who was the longest-serving talk-show host on Jamaican radio. Barbara Gloudon, herself a veteran talk-show host and journalist, knew Motty from "back in the day" when they worked together as young reporters at The Gleaner. "He was part of a group that formed the Journalist Union of Jamaica. Not many people knew of his trade-union activities," she shared. 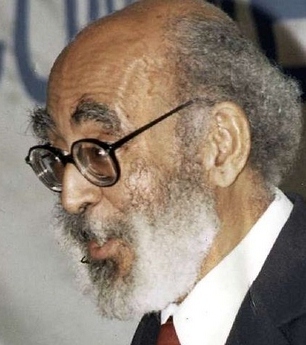 Gloudon noted that in analysing Perkins, most people spoke of his fearlessness and his very strong convictions, which came out in his writings and conversations on his talk shows. Veteran photographer Junior Dowie also recalled working with Perkins at The Gleaner in the early 1960s. "He was one of the nicest persons I have ever worked with, very helpful. We have lost an icon," said Dowie. 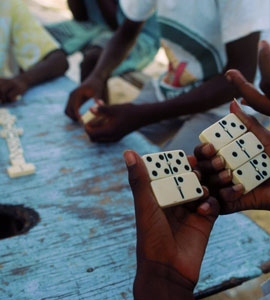 (CNS): Three men playing dominoes outside a home in George Town became the latest victims of armed robbers last night. At around 11:40 the players outside the property in Greenwood Drive were approached by two masked men who demanded cash. The robbers approached the three players on foot wearing dark clothing and armed with what appeared to be handguns. The suspects demanded cash and took money from each of the three men before they fled on foot and firing a shot into the air. Police said that no further descriptions of the robbers has yet been provided but confirmed no one was hurt during the tenth stick-up of 2012. Anyone who has any information regarding the robbery, is asked to contact George Town Police Station on 949-4222, the RCIPS tip-line 949-7777 or the confidential Crime Stoppers number 800-8477(TIPS).